Last week, the Social Security Administration revealed that Noah and Emma were the most popular names for baby boys and girls respectively in 2016. Now, the SSA has released the breakdown of the most popular baby names in each state last year. 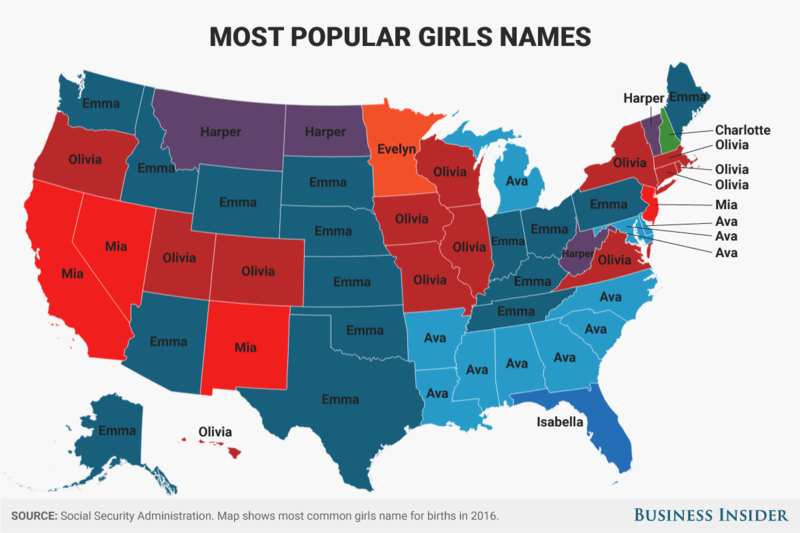 Check out the maps below to see the most popular name for girls and for boys in your state.